While images of rocks may not be the first thing that comes to mind when you think of a garden; actually, rocks can be a perfect addition to your garden space. 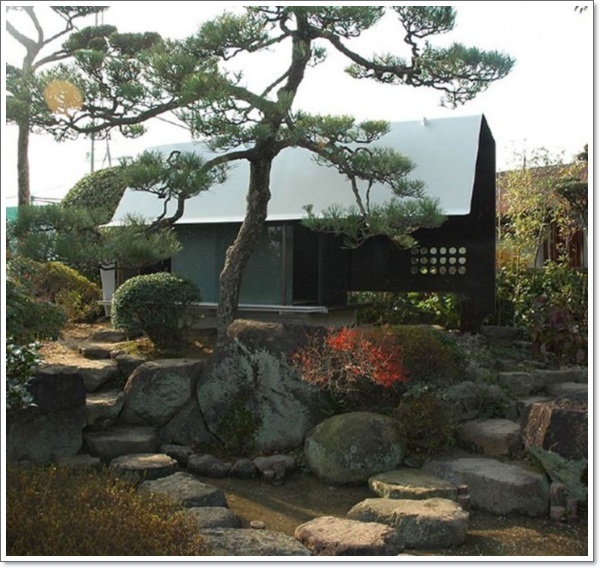 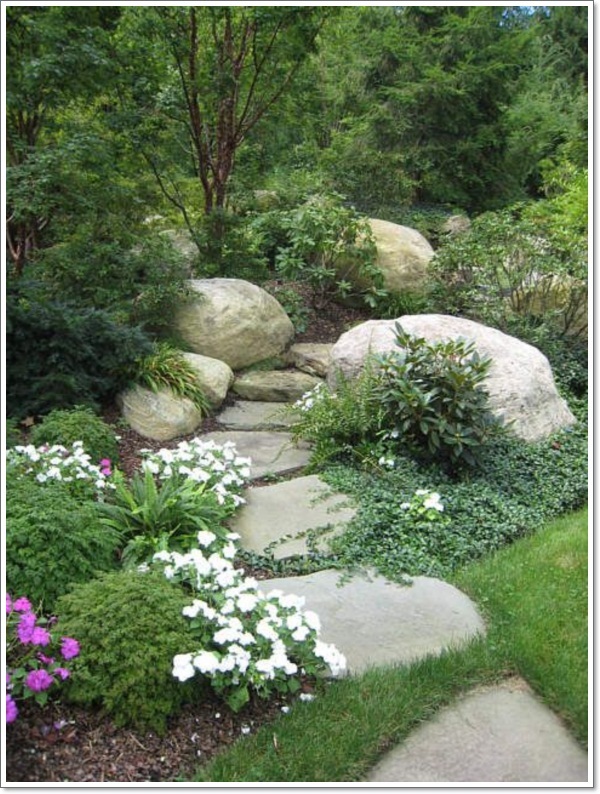 Gardens with different types of aesthetically pleasing rocks can be quite calming and relaxing if done the right way. 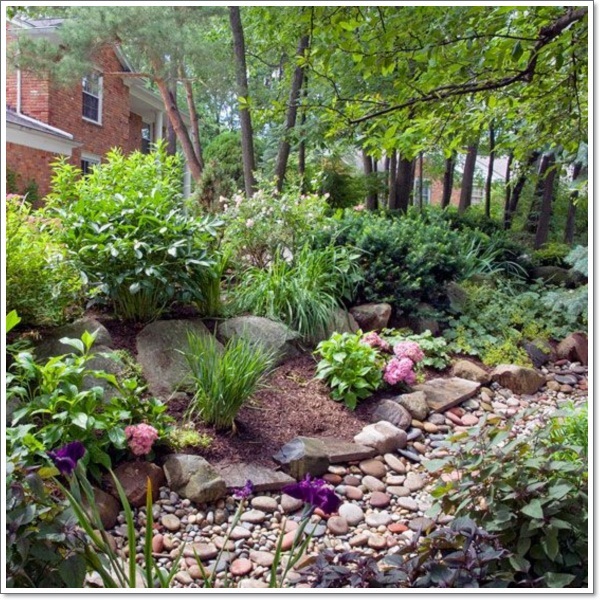 Mother Nature is the perfect landscaper and has already proved you with all of the tools that you need to create a beautiful rock garden. 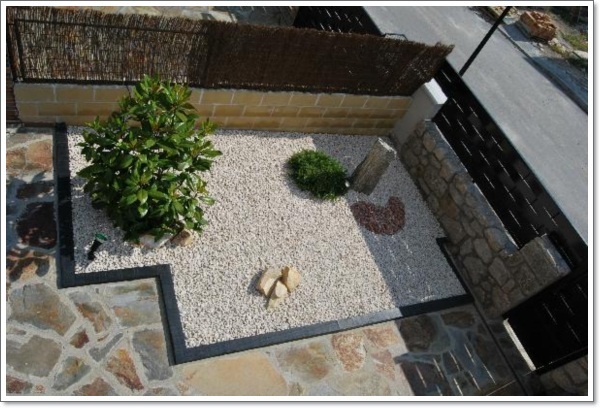 In fact, if you already have an area that is heavy with different types of rocks, all you need to do is add some plants that will thrive under these conditions and presto you have created a beautiful rock garden for you and your family to enjoy. 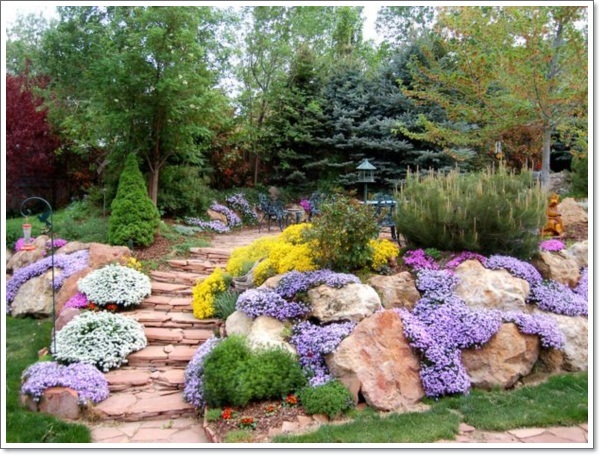 The first thing that you will want to learn about if you want to create the perfect rock garden is the type of plants that will thrive in this environment. Not only this, you want to consider the type of plants that are native to the region where you live so that you can be sure that they will grow and thrive in your rock garden. While it may sound exquisite, a rock garden is not as hard to create as you may think. 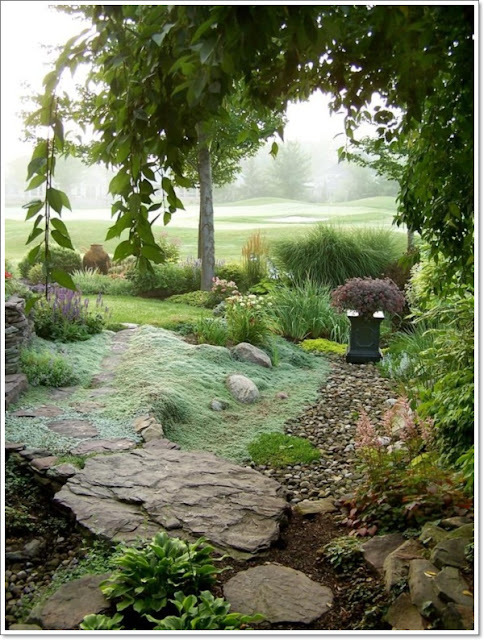 All you have to do is choose a spot in your yard where grass naturally doesn’t grow. 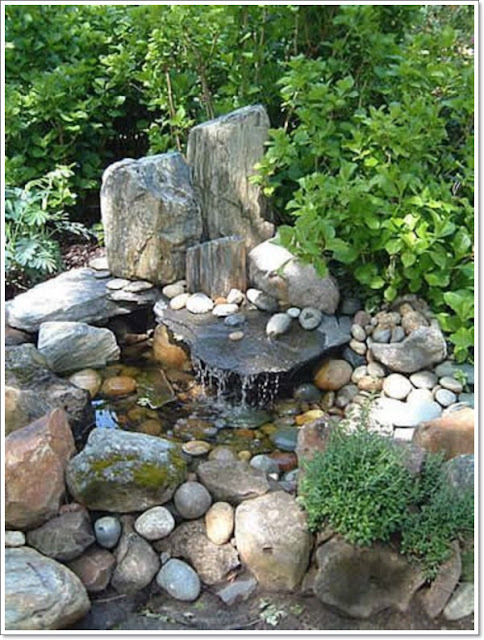 If you are building your rock garden on a slope then you will want to start at the lowest point of the slope and work your way up to the highest part of the slope. 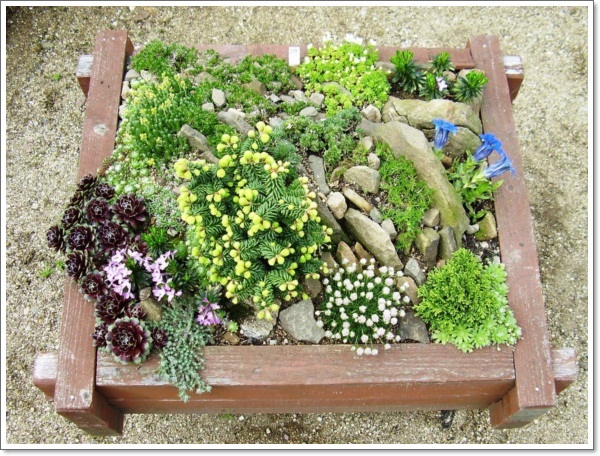 Add soil around each rock in your rock garden and pack it down to ensure that each of the rocks is firmly planted and secured into the ground with the soil. 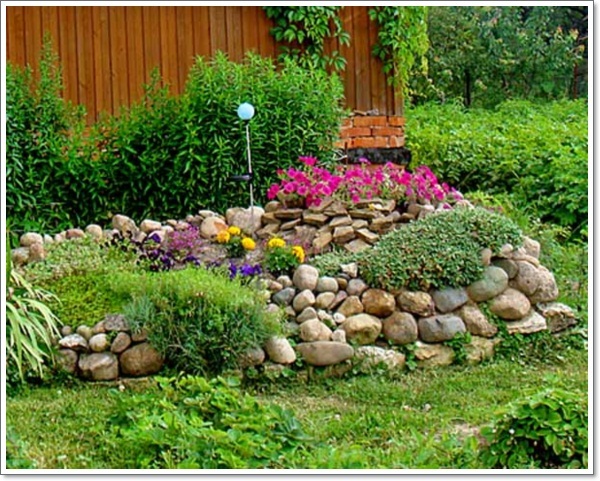 In order to properly secure each rock into the ground you want to be sure that they are at least one third to one half of the way into the soil. 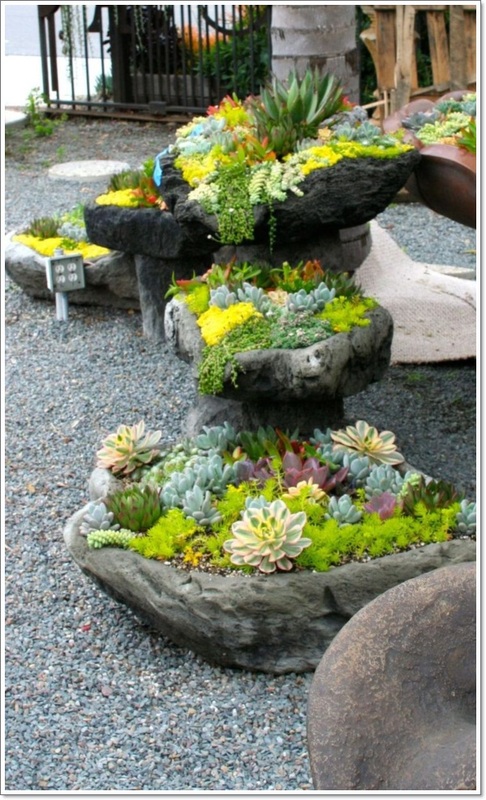 Once you have carefully arrange each rock and secured it in the soil, wait a few days and let the soil settle before moving on to the next step. 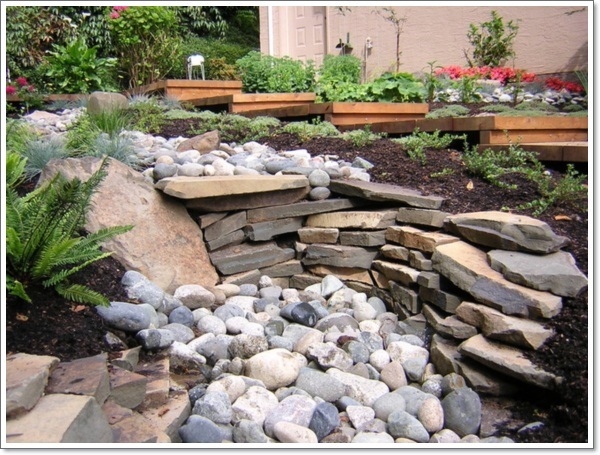 Once the rocks are settled into place, the next thing that you need to do is ensure that your rock garden has adequate drainage. If you are building your tock garden on a slope, then you already have natural drainage. However, if you do not have a slope available then you will want to create a drainage path for excess water to runoff when it rains. 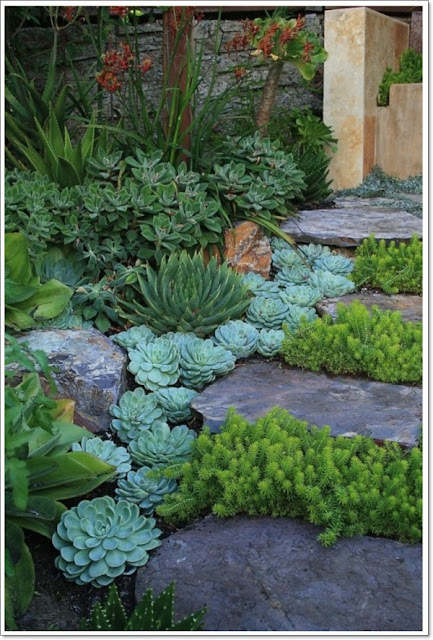 Now, it is time to plant your rock garden plants. 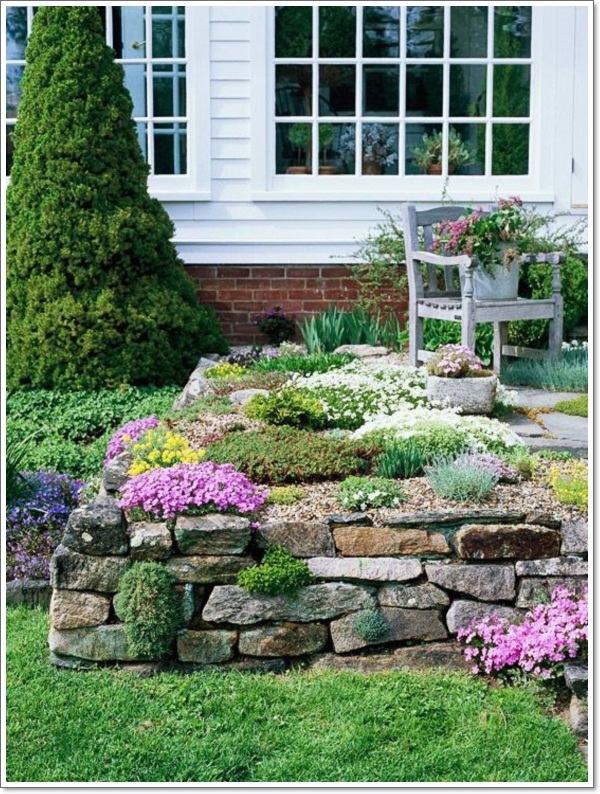 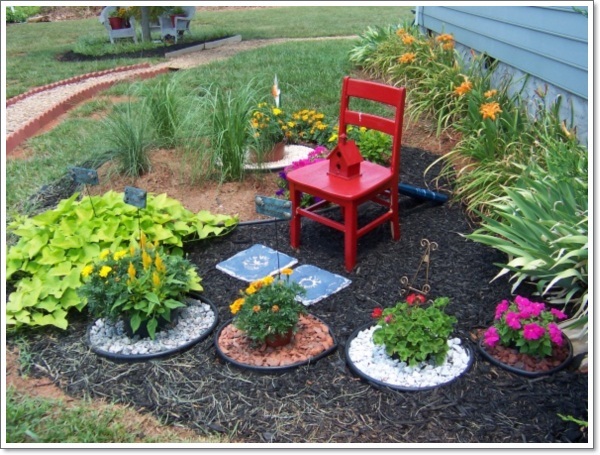 Once your rock garden is in place, the care is fairly easy. 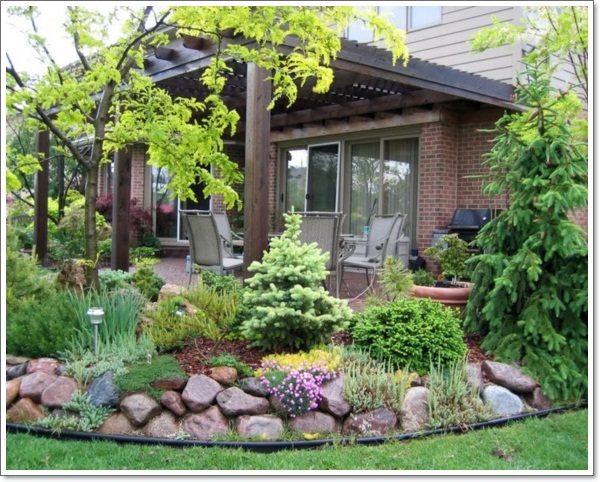 All you have to do loosen the soil every once in a while and remove any weeds that grow. 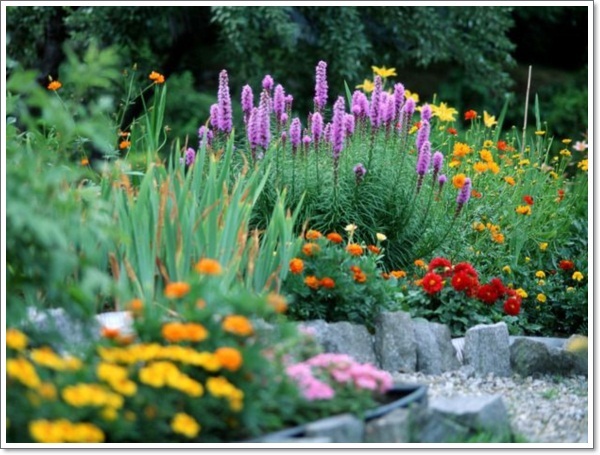 If your plants are not growing very well, you may want to consider adding some manure to your plants to help improve the quality of the soil. However, most of the time this is not necessary as most plants that thrive in rock gardens to not require quality soil and will actually do well in poor soil conditions where regular gardens would not thrive. 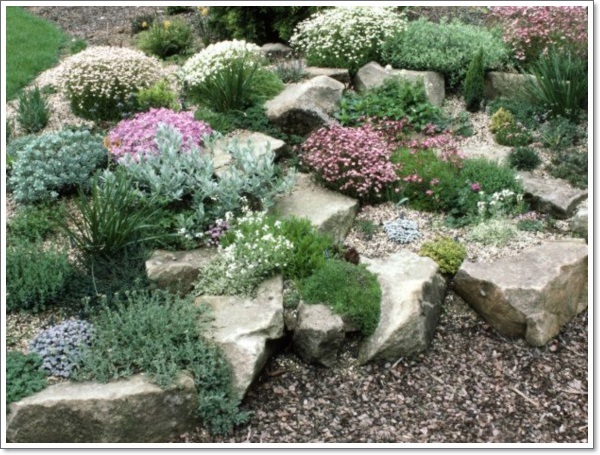 Low Maintenance – One of the great things about a rock garden is that they do not require the same level of care and maintenance that regular gardens do.If you do not have the time to care for a typical garden, yet want to be able to enjoy the beauty of nature then a rock garden is a great alternative. 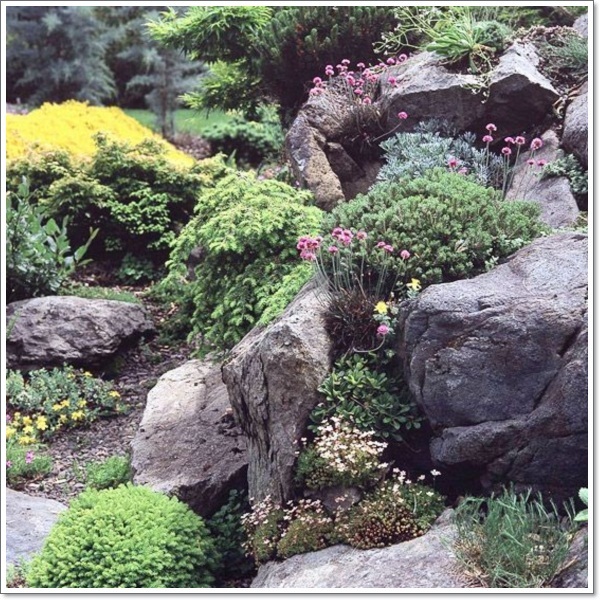 If you want a truly maintenance free option to add beauty to your front or back that will stay looking beautiful for years to come without much care on your part then a rock garden is the perfect choice. Even concrete walkways require some general maintenance to keep them looking nice. 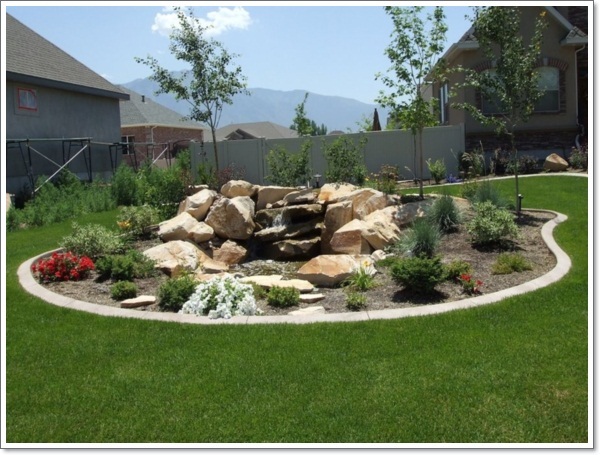 If you work full time or simply want a hassle free option then this is the perfect choice. 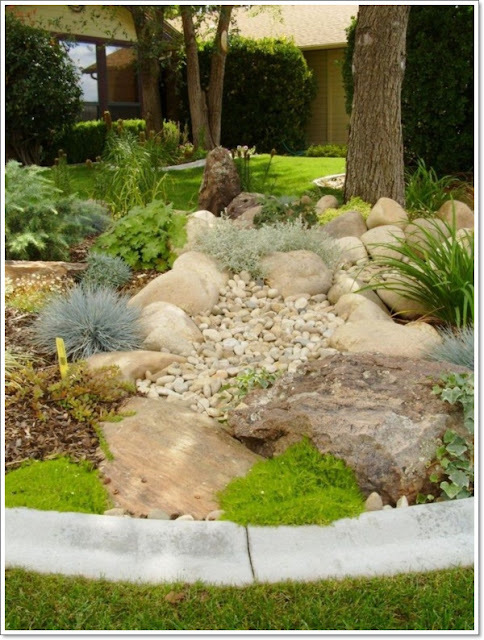 Great for Dry Hot Climates – Some places around the country such as Arizona do not provide the right conditions for you to grow grass and plant typical plants or flowers. 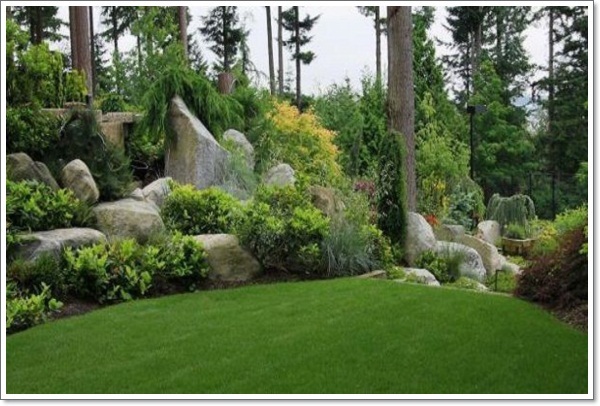 However, in areas where grass is not able to grow a rock can provide a beautiful alternative. 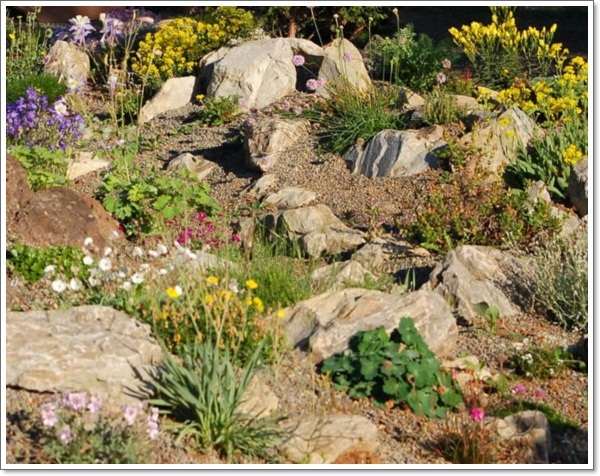 If you have repeatedly tried to grow seed in your yard to no avail, then a rock garden may solve your problem. 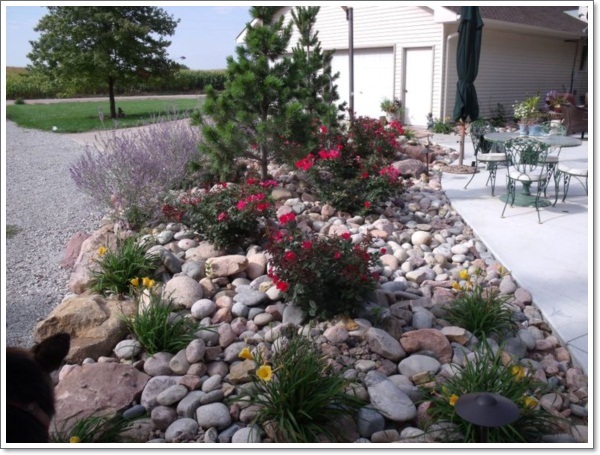 Choose a combination of low maintenance plants gravel and rocks of all sized to create an attractive yard that will maintain its beauty year round. 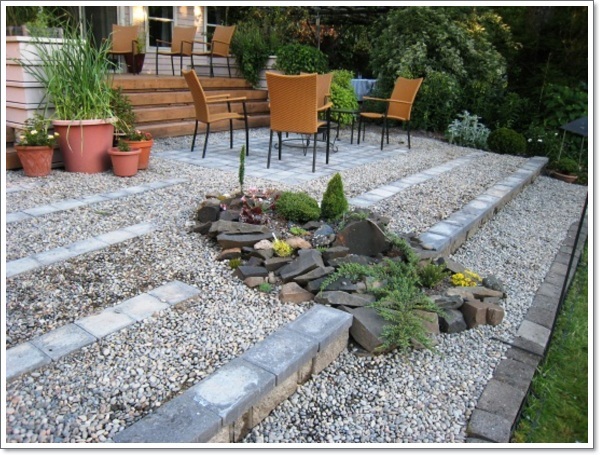 Enjoy your outdoor space and entertain family can friends with pride when you create a beautiful outdoor rock garden for all to enjoy. 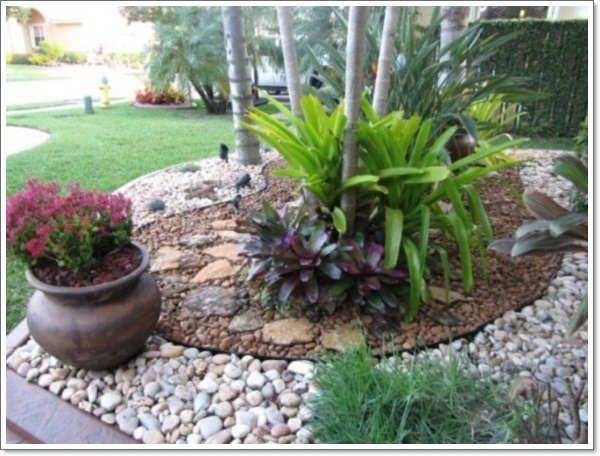 Natural Beauty – Rocks are a natural resource that are beautiful and come in a wide variety of sizes, shapes, textures and colors. 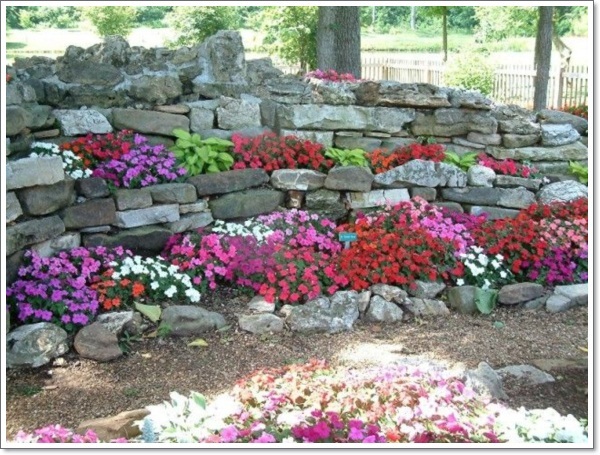 Take advantage of the natural aesthetics of rocks by creating a low maintenance rock garden in your yard.By choosing a combination of metamorphic, igneous and sedimentary rocks you can create a beautiful colorful palette in which to accent your rock garden plants. 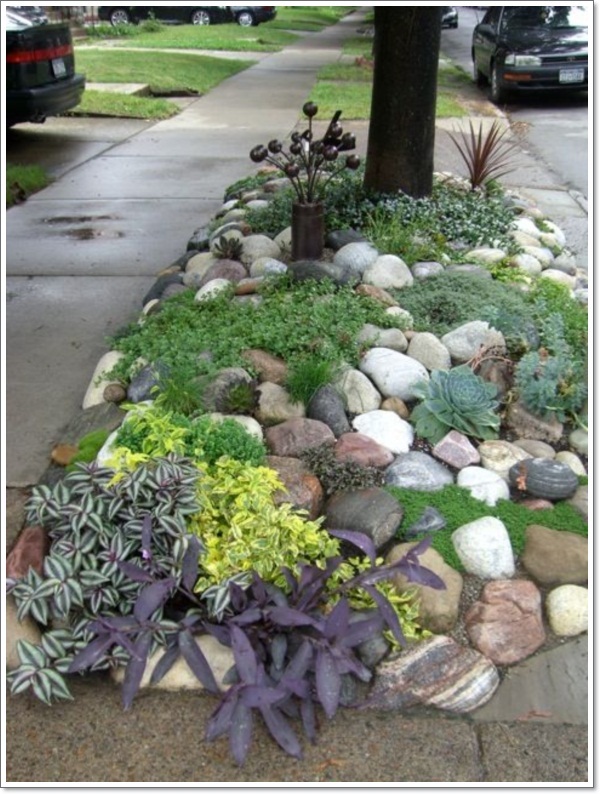 When designing your rock garden you want to be sure that you make it visually stimulating by using rocks of all different sizes. 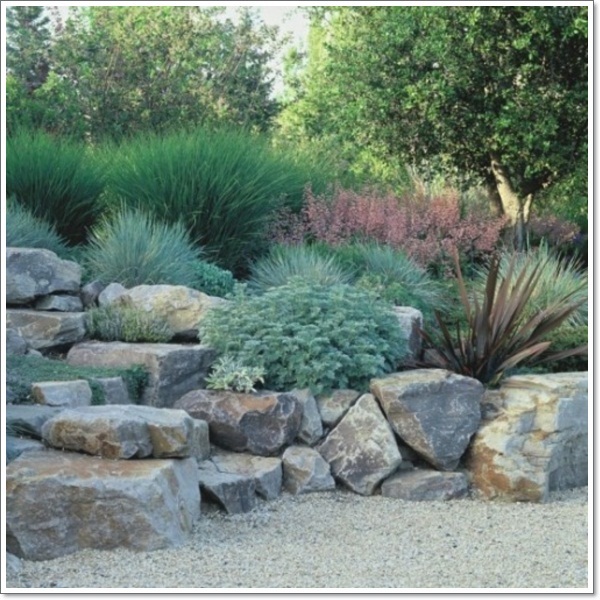 A good rock garden will include everything from boulders to gravel and everything in between. 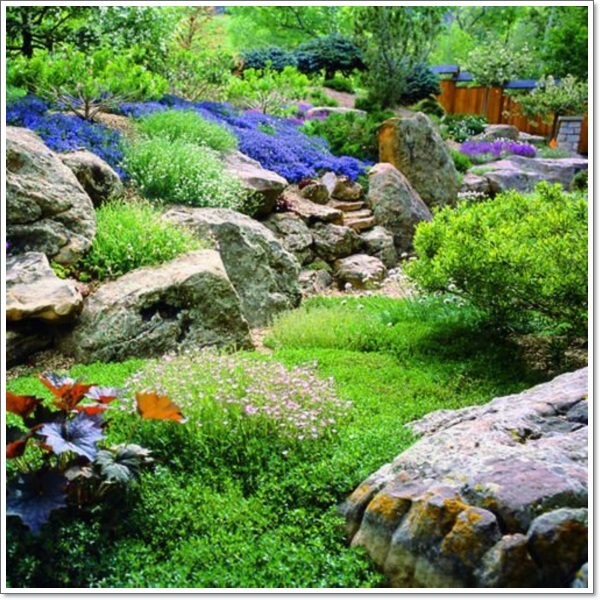 Withstands the Elements – Just as rock gardens are a great choice for hot, dry climates; they can also be a great choice for regions that withstand long cold winters as well. 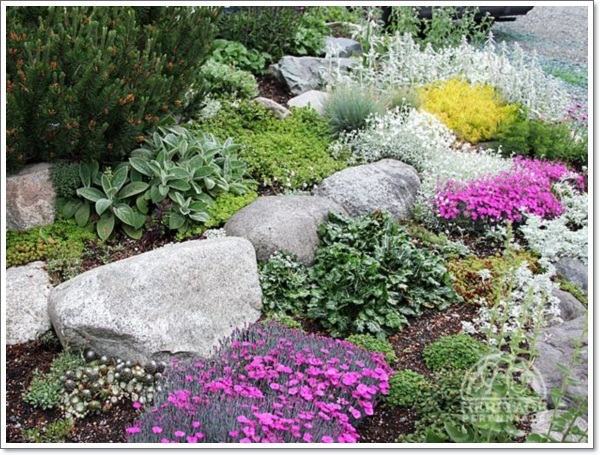 This is because the type of plants that are used in rock gardens do not require shelter which make them a great choice for areas that will ensure harsh conditions such as snow and ice for a prolonged period of time. When Spring comes, all it takes is a little maintenance to get your rock garden up and looking beautiful again when you venture back outdoors after a long winter.